My mother swims at the JCC. These days, she packs a “go bag” with all of her stuff to bring to the pool in case she is evacuated in her bathing suit by a bomb threat. It doesn’t seem unlikely. This is not what America should be. “Well, what can I do?” people ask me. They feel powerless. Let me tell you this: You are not powerless. Here are five things you can do to stand up against hate today. 1) Join your local JCC. Today, I am joining my local JCC. I am not a member, but I think it is time I became one, to show my solidarity. 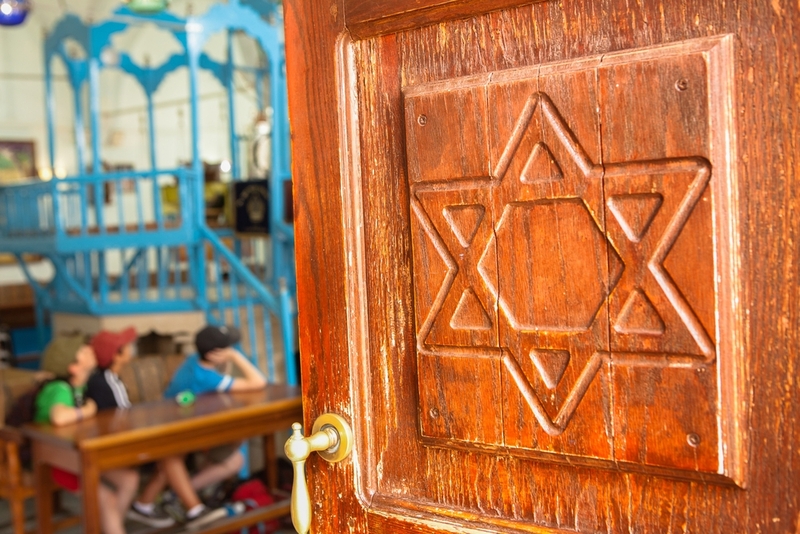 By the way, you can join regardless of whether or not you are Jewish—they have a great gym, pools, classes, just like a YM or YWCA, and welcome everyone. Join at the cheapest level as a gesture of support. Tell the membership people exactly why you are doing it. Post a picture of yourself at the JCC, or holding your new membership card, and explain why you’re a new member. Kindness can go viral. 2) Support other communities going through pain. There is a GoFundMe, for example, for the families of Alok Madasani and Srinivas Kuchibhotla, the two Indian men shot by a racist white terrorist in Kansas; there is also one for Ian Grillot, the young man who went after their shooter and got shot himself. A small amount is nothing to be ashamed of— think of it your coffee money. The perpetrators and victims may vary, but the hate is all the same, whether directed at us as Jews or Hindus or Muslims or anyone else. You can also give a donation to the ADL or another anti-hate group in honor of someone special in your life. Be public about your donation, posting about it on FB or Instagram or Twitter or whatever, to show that you are stepping up. Explain why, too, so that someone else can get the idea and do the same. 3) Call your representative in Congress at their local and DC offices. A friend of mine offered this suggestion, and I think it is a great one: “Ask [your Representative] to issue a statement condemning the JCC bomb threats. While we can’t expect much from a President openly hostile to all religious minorities, we can ask for more on a state level–and hope that strong words and actions may provide a deterrent. Tell your representative to speak out on behalf of their Jewish constituents. Urge them to conduct an investigation against bomb threats in their state—18 states had bomb threats yesterday. The JCC Association of North America has a website to guide your activism. Click and call! 4) Talk about it socially. Don’t act like nothing is happening. That silence is part of what sows the seeds of fear —when people who are not affected (non-Jews, non-Muslims, non-Indians, whomever) turn a blind eye and pretend nothing is happening. IT’S HAPPENING. Talk about it everywhere – online and in reality. Show that you are an ally to those who are suffering. I went to the zoo the other day with my kids and saw a sign on a tree that said, “It takes 200 years for a tree to grow to this size; it takes 20 minutes to chop it down.” So often, it can seem like acts of hate or violence or evil or treachery are more powerful than acts of love, because they happen more quickly and more violent. But they are not, because acts of love and kindness are so meaningful, they are what make life worth living.